A gardener is only as good as the arsenal of gardening tools that they have to use. There are times when a particular tool can come in handy and will make your life that much easier because you have it in your garden shed. These 10 growing tools you should consider adding to your life if you haven’t already done so. You really should have a variety of sizes when it comes to the snips, pruning shears, and loppers that you use in the garden. Some gardeners try to get by with only one size, but the variety of sizes can really make a difference in how well the tool handles the job. Smaller snips offer greater accuracy that can come in handy when trimming smaller plants or harvesting your crop. 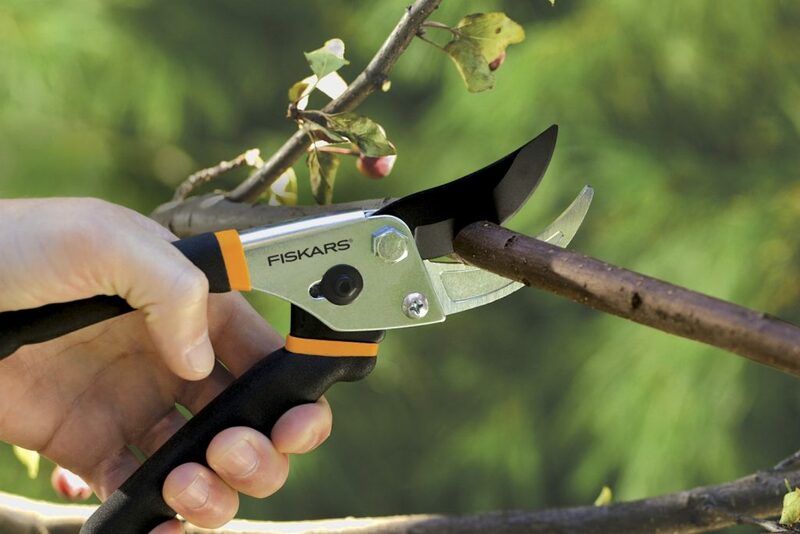 Larger pruning shears can be useful for handling smaller tree branch trimming, pruning rose bushes, clearing larger amounts of foliage from around the base of a tree, fence, or other objects among other better-suited purposes. Larger projects can require a heftier tool, like loppers, for cutting thicker tree branches. Many of the pests and diseases that you’ll come across can be relatively small, and a hand lens may not jump out at you as a gardener tool, but a lighted loop can come in handy when dealing with these types of problems. It gives you the option to really examine what you’re dealing with in either specks on the leaves or small pests and allows you to implement the right plan of action right away rather than allowing the problem to potentially spread due to misidentification. Click here to get a pair of Mantis Hand Lens for FREE! 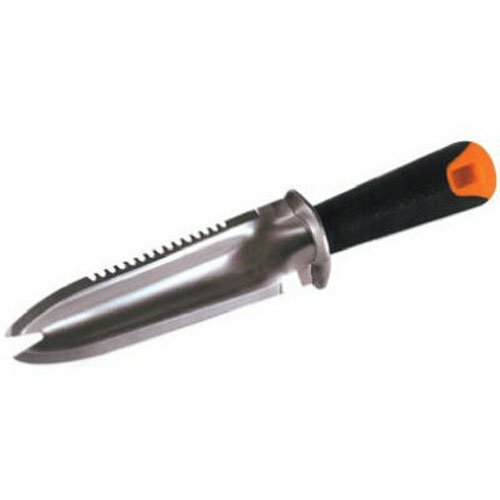 The Hori Hori or Japanese gardening knife is another must have tool that you may not be aware of. This can be used to cut and divide perennial roots, open bags, weed, transplant, dig, and even plant seeds using the dip in the knife. As an all-purpose tool, this one is hard to beat with all the different functions it can perform in your garden. Click here to get yours! You should have more than one shovel in your shed. 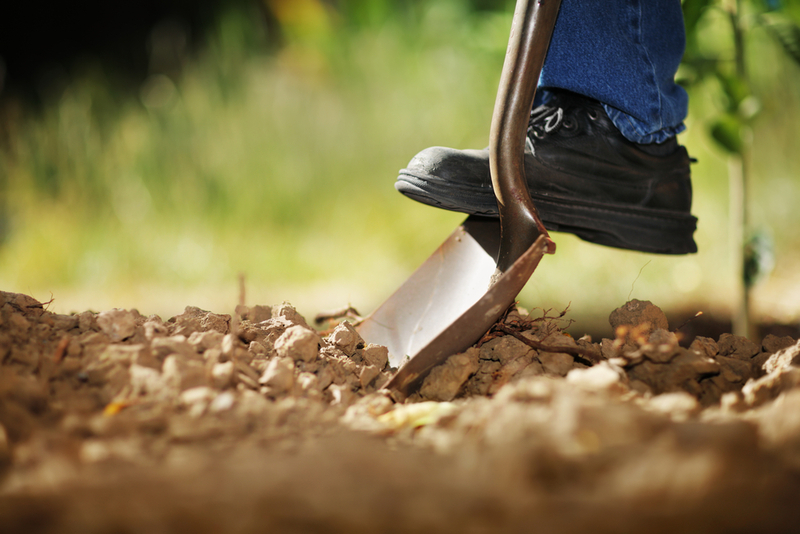 You should have at least one shovel for digging with that has a wider blade that makes it easier to dig up anything you need in the garden. Then, you should have at least one square spade that can be used for edging, removing turf easily, and cutting a trench. This spade could also technically be used for digging, but depending on the size of the blade, you’re probably better off with having both for efficiency. If you opted for a Hori Hori, you might not need to purchase a separate weeder for your organic garden. However, for those that avoided this tool for whatever reason or worries about the potential of cutting themselves when struggling with a really deep weed root system may want to invest in a weeder. 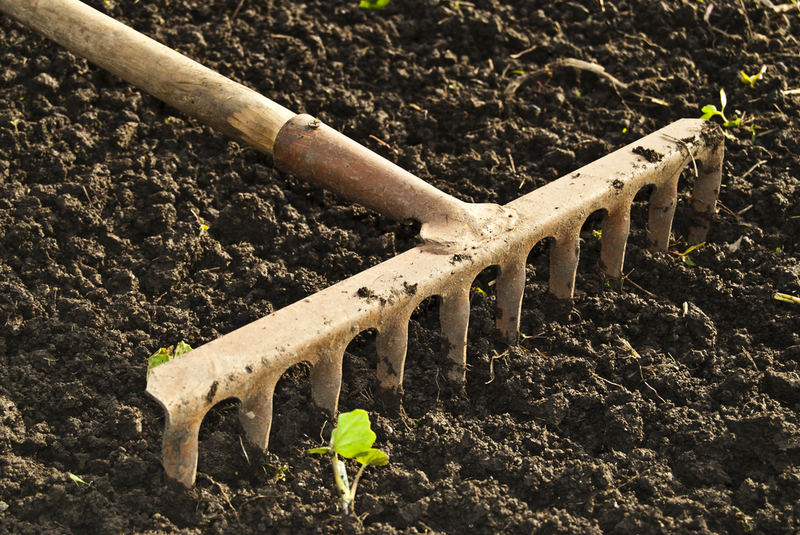 Organic gardeners really have to be on their game when dealing with pesky weeds, and this tool will help you to defeat even the most deep-set root systems that’ll fight you tooth and nail to stay in the ground to continue invading your garden. Click here to get yours! 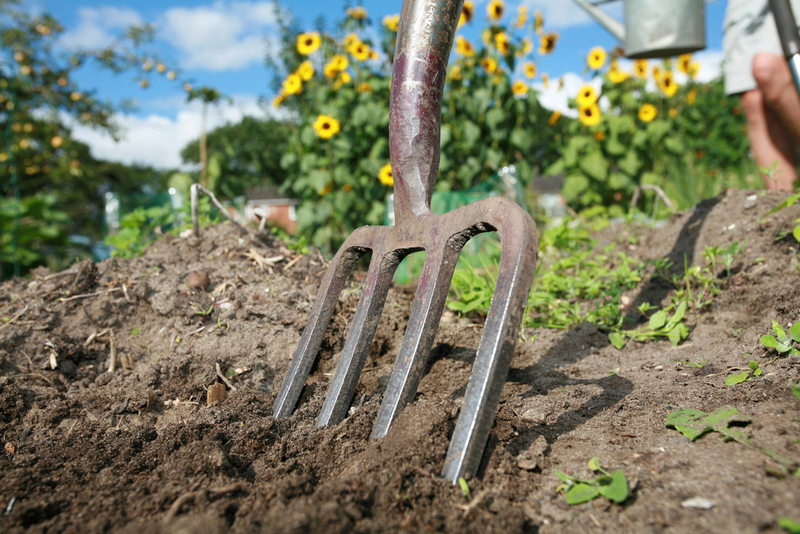 A garden digging fork is another great investment for gardeners. This tool is wonderful for churning your soil before and after your growing season. This can increase aeration and is perfect for plants with roots that like loose soil. You may also like to use this for dealing with your mulch as it can work well as a spreader. Click here to get yours! A leaf rake isn’t only useful during the fall months when it comes to raking up leaves, but they can also be used in a pinch for moving around mulch or freshly tilled earth. Depending on the tines, they may not be able to withstand doing a lot of intensive moving so a bow rake may be beneficial here. A hand rake is also a great tool to have on hand for dealing with tight spots that a larger rake just won’t be able to get into. 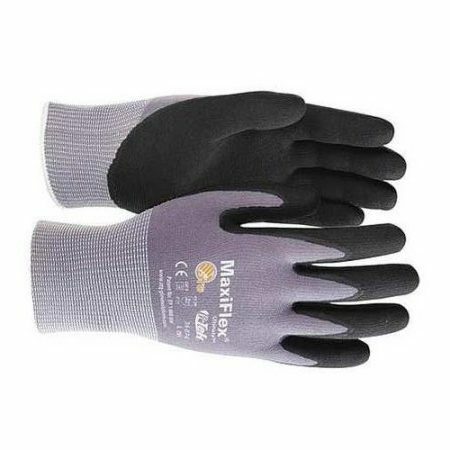 A multi-purpose glove that works really well in your garden is nitrile gloves. These are great for dealing with wet messy tasks, mixing soils, using your tools, or other tasks. They fit almost like a second skin, so they can be comfortable without being too bulky. Click here to get yours! However, if you work with a lot of thorny plants, like rose bushes, you may want to invest in some thicker gloves as nitrile gloves won’t provide you with the protection you need for these tasks. Click here to get your pair! A garden kneeler is not just for elderly gardeners that need a little cushion under their knees. 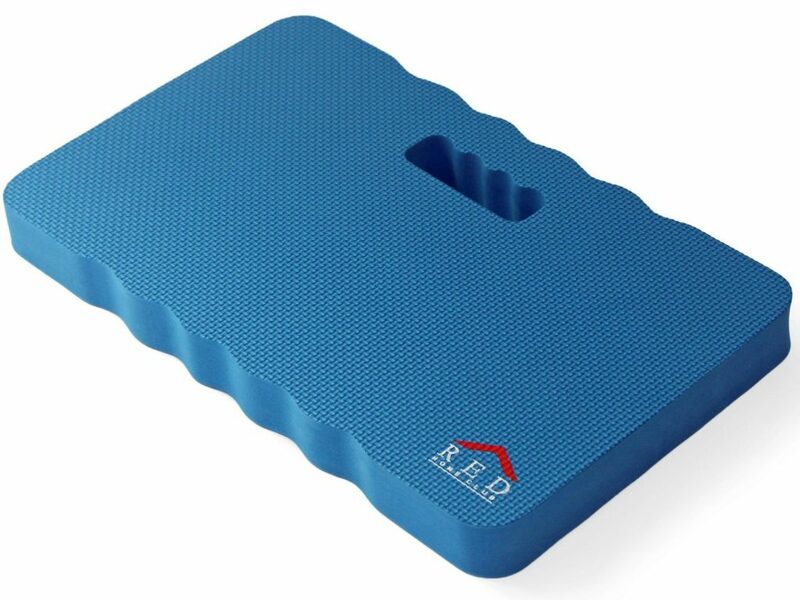 Everyone can benefit from having a kneeler in the garden to help protect your knees and pants. This gives you the chance to feel comfortable as you’re handling every little task from weeding to transplanting. Click here to get one! An alternative to buying kneelers that will just end up getting dirty is making your own from those foam pads that they sell for kid’s rooms. After they get a little beat up from your kids, you can cut one in half, and then, use colorful Duck tape to put both halves together for an extra cushy kneeler. A garden trug is one of the most versatile gardening tools you can have, and often, it gets overlooked when it comes time to stock your garden shed. You can use these trugs for mixing your soils, filling beds, adding mulch, carrying your transplants around the yard, wetting roots, and even carrying your harvest. They even make strainers that are specifically made to fit inside of your trug that makes harvesting nice and easy. You put your harvest in, fill up the trug with water to help rinse your produce, pull out the strainer, and bring the fresh produce in the house. 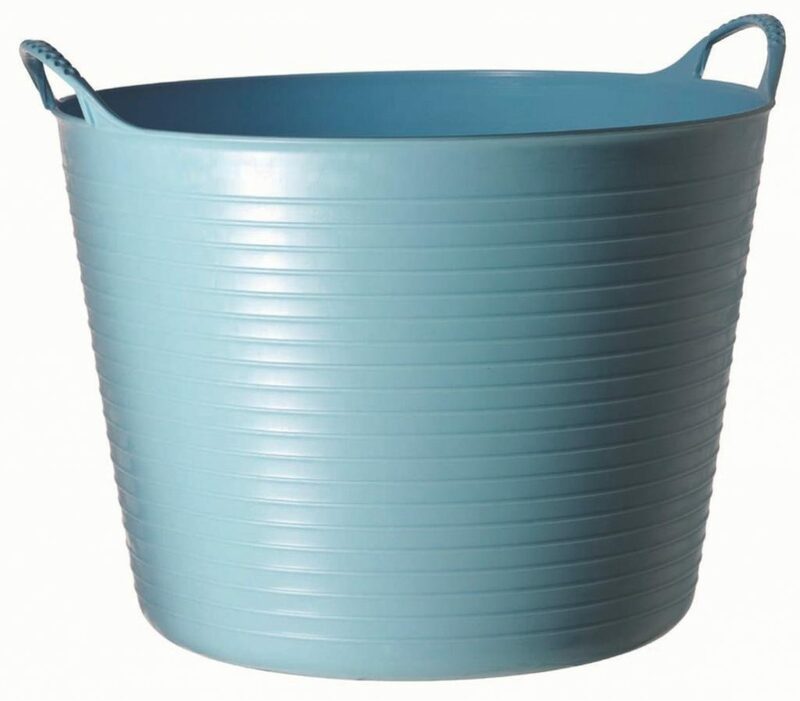 Click here to get your garden trug! 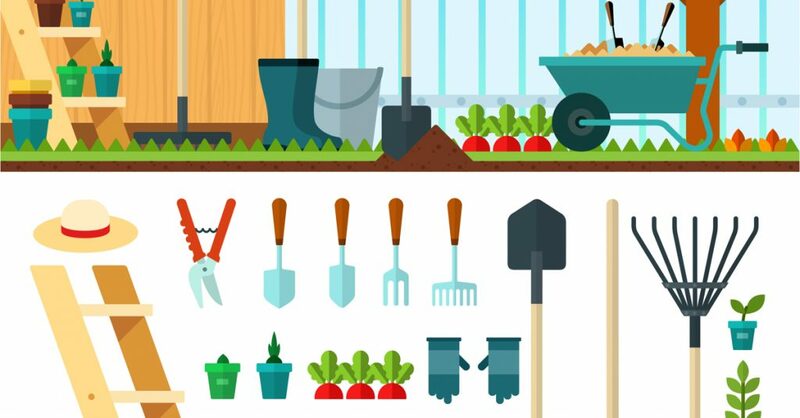 Each of these tools is essential for every gardener to have stocked up in their sheds ready to go for the growing months. You’ll be prepared for every situation that will come your way, and be able to handle it with ease. 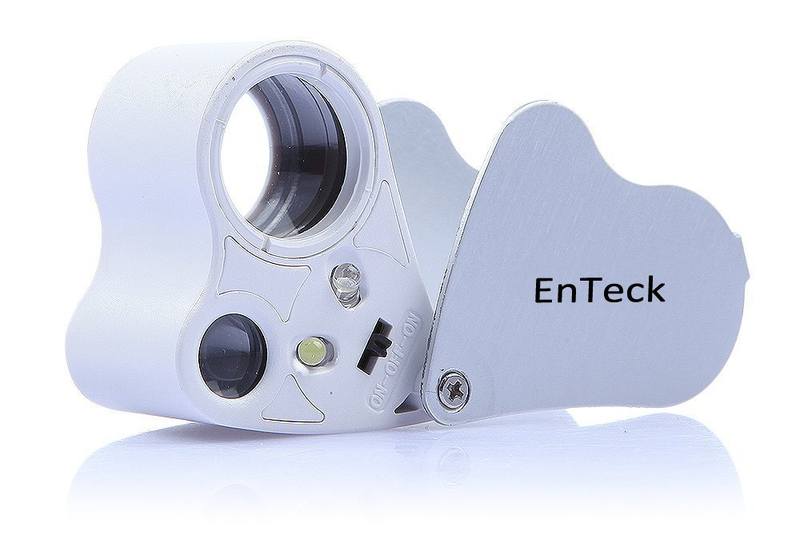 No more struggling trying to find the right tool for the job when you’ve had the forethought to buy the right tool.